Raising a family is exponentially more expensive today than in the past; costs rose 40 percent alone in the first 10 years of the new Millennium and, as of 2015, an average of $233,610 was spent to raise a child until he or she reached age 18, not including college.1 As the cost of living increases, those figures will only continue to rise. Once their children leave the nest, it’s not uncommon for couples to shift gears to focus on themselves and explore their new-found freedom. Some, however, make dramatic lifestyle changes without considering the impact those changes may have on their retirement. You can help empty nesters mitigate the risks of being caught unprepared and underfunded in their retirement years by helping them understand what they need to consider before retirement and increasing their awareness about the impact that five major areas of spending can have. Dreams of world travel and weekend getaways are a common goal for empty nesters. All those years at home caring for children and shuffling them to various activities were rewarding in their own right, but the prospect of a couple having some “us” time to get away is often seen as overdue. Marketers for travel agencies are well aware of this phenomenon and commonly target empty nesters in their promotional efforts. In recent years, agencies have seen an uptick in spending by this age group, partially attributed to the rise of social media.2 When couples see a friend’s vacation photos, there’s a sense that they, too, should be enjoying some time away. The costs of travel, however, can be a significant drain on their retirement savings, especially for those “bucket list” destinations. 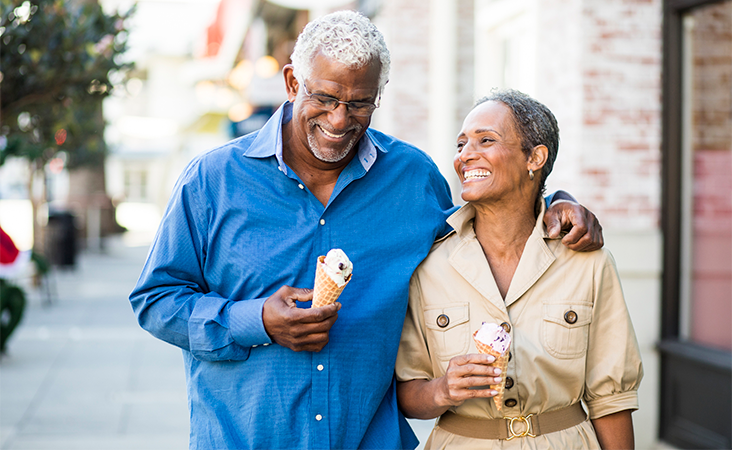 Encourage clients to enjoy their time together, but it’s also important to help them see the consequences of going overboard in their travel spending and to still allot a portion of their new-found disposable income toward retirement savings. Instead, empty nesters may want to consider downsizing. Depending on how long a couple has lived in a home, however, this can cause some hesitation. Nostalgia and family memories are often deeply tied to a home, and parting with it can bring anxiety and feelings of loss. Be sensitive to this when talking about the prospect of downsizing, and do an analysis of their situation to assess whether doing so will have any significant financial impact. Sometimes remaining in a home makes more sense, especially if the mortgage is paid off. It costs a lot to feed a family, and the time and effort for meal planning can be considerable. Once the children are out of the home and on their own, some couples reward themselves by dining out more frequently. It’s a common belief that Millennials spend more on food away from home, but individuals ages 45–54 spend $4,159 on average eating out, nearly twice as much than those under age 25.4 When working with clients, it’s easy to focus on big-purchase items that can represent a major chunk of retirement savings but, as many know, it’s the day-to-day spending decisions that often eat away at a budget and thwart long-term goals. Once the children leave home, some parents decide it’s finally time to learn a new language, join a sports league, spend more time gardening or tinkering on cars, spoiling grandchildren, or a host of other activities. Be sure to talk with your empty nest clients about their plans and encourage them to enjoy new hobbies and explore activities that enrich their lives. Watch for warning signs that could indicate excessive spending, however. An example may include wanting to turn a hobby into a business. Such an endeavor has inherent financial risks that need to be considered, the least of which is deciding whether to quit a more reliable job to pursue their dreams. Doing so can not only have a negative impact on income, it can also jeopardize the growth potential of a company-sponsored 401(k) and result in added expenses for healthcare coverage. If your clients express interest in starting a business, be sure they understand the risks, have done market analysis, have developed a sound business plan and, most of all, don’t end up threatening their long-term financial stability. There are traditional ways parents often help their children financially once they reach adulthood, such as paying for a wedding or college tuition, both of which can be significant. However, the majority of assistance is offered to cover expenses such as food, cell phones, vehicles, vacations and rent. The same report indicated that 25 percent of parents were willing to pull money from their own retirement savings to continue supporting their adult children. People in their late 40s and 50s often feel like retirement is a long way off, and lifestyle changes can slowly eat away at their nest eggs if they’re not careful. While you certainly don’t want to dampen the new-found freedom of empty nesters, you will want to make them aware of the risks and help them strategically navigate the next 10–15 years before they fully retire. Be sure to view our complimentary guide below, The Changing Retirement Landscape, to help start the conversation and learn more ways to help those approaching retirement. 3Home Advisor, How Much Does It Cost To Build A House? CUNA Mutual Group is the marketing name for CUNA Mutual Holding Company, a mutual insurance holding company, its subsidiaries and affiliates. Annuities are issued by CMFG Life Insurance Company (CMFG Life) and MEMBERS Life Insurance Company (MEMBERS Life) and distributed by their affiliate, CUNA Brokerage Services, Inc., member FINRA/SIPC, a registered broker/dealer and investment advisor, 2000 Heritage Way, Waverly, IA, 50677. CMFG Life and MEMBERS Life are stock insurance companies. MEMBERS® is a registered trademark of CMFG Life Insurance Company. Investment and insurance products are not federally insured, may involve investment risk, may lose value and are not obligations of or guaranteed by any depository or lending institution. All contracts and forms may vary by state, and may not be available in all states or through all broker/dealers. Base Policy forms 2012-SPDMGIA; 2015-VA-B and 2015-VA-C; 2008-SPIA-I, 2008-SPIA-LO and 2008-SPIA-DB; ICC13-DIA, ICC13-DIA(B) and 2013-DIA. MGA-1727597.2-0618-0720. FOR REGISTERED REPRESENTATIVE USE ONLY. NOT FOR USE WITH THE GENERAL PUBLIC.